One thing all Christians can be tempted by is self deception. We think that an exception from what God commands can be made for us. We think of excuses as to why what God teaches should not apply to us, or why the Church teaching can't be what God means. After all, if we're undergoing some sort of physical or emotional distress, or if we want something the Church teaches is wrong, it clearly means that the Church must be wrong, doesn't it? The reason this self-deception so often succeeds is that we do not understand why the Church holds what it does, or we do not understand the words of Christ in the right context. For example we see some people take the words of Christ against judging and contrast them with the words of St. Paul saying some things bring destruction and conclude that St. Paul missed the point of what Christ was teaching. What this ignores is Matt 7:5, where the context indicates Christ is not speaking of letting everyone do as the please, but of judging others for their minor faults (the splinter) while ignoring one's own major faults (the beam). Paul was quite aware of his own faults. The problem is, in contrasting the "merciful Jesus" and the "harsh Paul," we forget the most vivid descriptions of Hell and warnings of judgment come from Jesus and not St. Paul. Thus we instead invent for ourselves a God who will not punish, but will forgive us when we live in opposition to His teachings… even though we have no intent to change our ways out of love for Him. There are many ways we deceive ourselves into thinking that the words of Jesus are not binding to us, excuses to explain why the absolute statements of Christ merely apply to "other people." The appeal to pity is one of these ways we excuse ourselves. The ad misericordiam (also known as the appeal to pity) mistakes a misfortune for what might happen as a reason for which the teaching should be set aside. For example, the couple who wants to use artificial contraception, might bring up the large number of children they already have (usually 2.1), or their financial situation as "not being able to afford another child" and say that the Church teaching is "cruel." However this appeal to financial straits does not answer the question: Why not practice self control? In other words, the appeal to pity does not give a reason for changing a belief, but merely an attempt at sympathy to make one bend the rules. How often do we hear the claim, "It just seems right to me" or "Your church teaching is so cruel!"? Ultimately this boils down to the claim that what one personally feels is right. You can see this in a number of ways: Atheism seems to me to be more logical than a belief in God when you consider science. Really? So, we have a statement which makes the individual's assessment of atheistic claims, theological claims and interpretation of science infallible. However, when it comes down to it, such a statement is really a statement of preference on how they would want the world to be. Thus, under this reasoning, personal interpretation can err. So how does the individual who denies the Catholic teaching know his or her own views are right? It has been remarked that while there is a shortage of priestly vocations, there is no shortage of vocations to the Papacy. This seems to be true. We deceive ourselves to think our preferences are what is right, and forget that we are affected by original sin, which inclines us to choose our personal desires over what God wills for us. Another common problem with self deception is the confusing of personal preference with dogma… and vice versa. Personal preference is when we judge something "correct" or "heretical" based on what we would like a thing to be. When we see certain traditionalists arguing that the Ordinary Form of the Mass is dangerous or heretical, they have no basis for their view. They are using these terms as a rhetorical embellishment to show their dislike for the vernacular, the removal of unnecessary elements (such as the twice recited Confiteor), guitar masses and the like. Such actions or tolerance on the part of the Magisterium are certainly not heretical, but because the individual dislikes them, they are so labeled. The result is, the individual makes himself the infallible one and denies the Church has the right to make changes he or she disagrees with. On the other side of the coin, the one who reduces a dogma to a preference tends to respond to a papal pronouncement they dislike with that's just his opinion. Thus teachings on contraception, divorce and abortion are written off as an opinion, or even a partisan opinion. Thus we see certain theologians challenging certain papal statements, claiming the Pope is in error in his "view." "I declare that direct abortion, that is, abortion willed as an end or as a means, always constitutes a grave moral disorder, since it is the deliberate killing of an innocent human being. 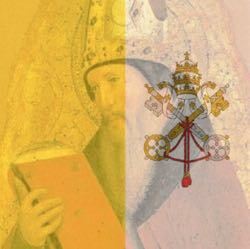 This doctrine is based upon the natural law and upon the written Word of God, is transmitted by the Church's Tradition and taught by the ordinary and universal Magisterium"
then any claim that this is a mere opinion of the Pope is false. The Pope has invoked his authority and must be obeyed on this matter, if one is to continue to claim to be Catholic and not a dissenter. Yet Modernists and Traditionalists alike make use of the false statement that if the Church has not made a declaration ex cathedra, it is not binding, but merely an opinion. It is especially ironic that certain traditionalists make use of this argument, as it would make the condemnation of the Modernists by St. Pius X a mere "opinion." Some attacks on Church authority are done by proxy. The argument put forward is not a defense of the dissenter's opinion, but rather an attack on another position held by the Church. This position is alleged to be in error, and therefore the dissenter doesn't have to listen to the Church teaching he or she really is opposed to. The problem is, even if the claim was true of the Church being wrong on Position [A] which needs to be proven by the way, it would not have any connection to whether the Church was wrong on Position [B]. It's a non sequitur. In all of these cases, what is lacking is an attempt to establish what is true. Instead, we have a position which seeks to set aside the issue of truth in exchange for emotion. Labels are used to question the authority of the Church position, but do not in themselves demonstrate a lack of authority on the part of the Church. Essentially all of these place emotion over the truth. Emotion is a counterfeit for truth. We can have passionate feelings for things that are true. However, we can also have passionate feelings for things which are false. How many times have people gotten into bad relationships because the emotion clouds their ability to see the harm the relationship is doing? Now emotion in itself is not a bad thing. Nothing from God is evil, provided it is used as God intends. However, if we let it master us, tainted by concupiscence then we can place ourselves in opposition to God because we do not consider the possibility that our original sin can lead us to self deception and that we can be choosing evil, and think it must be good because we forget we are letting our passions rule us. Pilate sees the concept of 'truth' as a harmless abstraction with no ties with reality. The truth is different. What is true can have consequences based on whether I heed the truth or not. While many argue about whether truth may be known, when one comes down to it, we certainly can know truths. If I throw a rock straight up in an open field, I know it is true that I had damn well better get out of the way before it comes down. If a label reads poison, I know it is true that I will be harmed to ingest it. Whether or not I scoff at whether we can know truth, if I fail to act on information that says "what is," I can be harmed by that failure. Aristotle was famous for describing truth and falsehood as, “To say of what is that it is not, or of what is not that it is, is false, while to say of what is that it is, and of what is not that it is not, is true.” If I say something is about God's teaching when it is not, I speak falsely. To those who claim to be followers of Christ, we must recognize that God has revealed Himself to us and has revealed to us truth which we must follow. Now, to speak that something which is not, is; or that something which is, is not; is to speak falsely. It may not be a deliberate lie, such as in the case of a person who is mistaken on the subject he speaks on, but it is to speak falsely all the same. Another characteristic is that truth cannot contradict truth. If God is truth and He calls homosexual acts a sin, then a person does not speak truth if he calls them good. Such a person may say this falsehood out of defiance, or out of sincere but mistaken belief, but his sincerity in his belief that the Church is wrong in saying what God requires does not make his belief right. In all cases, what we must beware of is the confusing our desires with God's will. The human person can deceive himself. God doesn't want me to be unhappy, is a common mantra, but a false one. It is better said, God desires what is truly good for us. Sometimes, when we want something harmful, something which goes against God's will, God must thwart our personal plans and our disordered human desires must be denied to our sorrow at not being given what we want. Sometimes we want a thing for which the Church must say No, this is against what our Lord commanded. In such cases, one must ask, "Is this truly God's will to oppose the Church as being in error, or am I the one who has been deceived?" "On what basis can I claim this?" We ignore these questions to our peril.